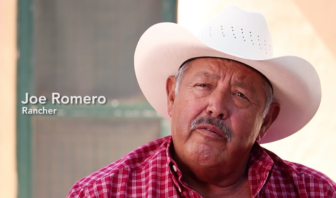 A new internet ad featuring five Hispanic activists from rural northern New Mexico is taking aim at the progressive wing of the Democratic party. Invoking land, culture and heritage, the speakers urge viewers to not support Democratic candidates just because they’re Democrats. The kicker? The internet ad is funded by New Mexico Turn Around, a group with a political action committee largely funded in recent years by Republican New Mexico oilman Harvey Yates. The people in the ad are for the most part well-known northern New Mexico activists, and Democrats. Some of them are part of an ongoing feud about who will represent District 46 in the state House of Representatives. 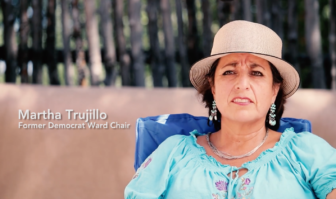 Martha Trujillo was an ardent supporter of Democratic State Rep. Carl Trujillo, D-Santa Fe, who lost his re-election bid in the primary and is battling a sexual harassment charge initiated shortly before the election. 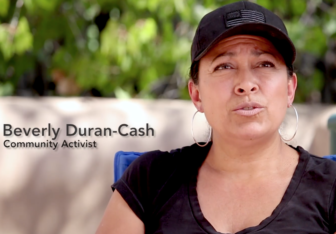 In the video she is identified as a former Democratic party ward chair, a position she noted in her resignation letter as secretary of a nonprofit community group in the Pojoaque Valley, called Northern New Mexicans Protecting Land, Water and Rights. The group’s former executive vice-president, Heather Nordquist, is a write-in candidate challenging the primary winner in the District 46 race, Andrea Romero. Nordquist is also one of the people who dug up documents implicating Romero in misappropriating public funds by the Regional Coalition of LANL Communities. The group has been actively involved in simmering property and water rights disputes for a number of years, that have pitted pueblo and non-pueblo community members against each other. Beverly Duran-Cash is president of that same group, and supported Carl Trujillo’s re-election bid in public posts on Facebook. In a recent Facebook post, she said “Voters keep voting for these Elitist Progressive Democrats and for the same Dems that have sold us out and only support who THEY think is more important.” Duran-Cash is actively supporting the write-in candidacy of Nordquist. 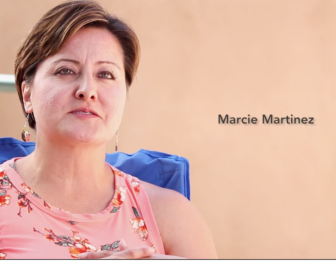 Marcie Martinez, a former Los Alamos Lab employee, is also associated with the group and was a dedicated supporter of Trujillo’s re-election bid. When he lost, she posted a lengthy statement on Facebook laying the loss at the feet of the #metoo movement and progressives. “Like I said when the #metoo movement first began, this will not turn out well for real feminism and will set the clock back, which it clearly is already doing, and all at the hands of “Progressives,” Martinez said in the post. The three women are joined in the video ad by two ranchers. 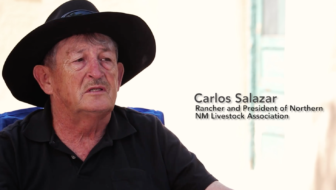 Carlos Salazar, president of the Northern New Mexico Livestock Association, says in the ad that progressives want to take land and water away from poor people, and move them to cities where “everybody is collectively in one place and leave everything for wildlife.” They want to control land use, he says. Another rancher, Joe Romero, says he’s progressive “in a way” but that the current progressive movement wants progress to move too fast. That the ad is attributed to a group funded by oil money with interests largely in southeastern New Mexico may strike some as a head scratcher. NM Turn Around is a political action committee that has been active in New Mexico politics for many years. The PAC spent $7,800 on the ad, said Garth Simms, a former New Mexico State Representative for House District 28 from 1983 to 1994 and president of NMTA. The latest campaign finance reports of the NMTA PAC don’t show expenditures for the ad because the group just got billed and haven’t paid yet, he said. The money will show up on the group’s next filings, due in early November. Simms couldn’t give NMID specifics about who created the ad, saying NMTA was approached by people who said there was a group of Democrats “concerned about the far leftward swing of the Democratic party” who wanted to make a video. NMTA doesn’t know the people featured in the ad, he said. NMTA is usually just involved in Democratic primaries, Simms said, with the goal of getting small-business and small government-minded Democrats elected, but once they saw the rough cut of the ad decided to support it. In addition to Nordquist, the write-in candidate for District 46, Duran-Cash is supporting Libertarian candidates for Attorney General and U.S. Senate, Aubrey Dunn and Gary Johnson. But ultimately it’s Republicans who might benefit the most from the ad. 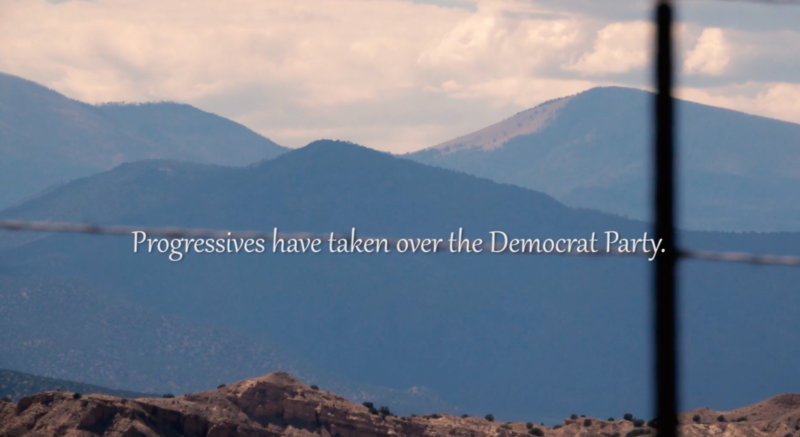 The more such ads circulate in northern New Mexico, the more likely Republicans will benefit because they can “soften” votes for Democrats in what is historically a Democratic stronghold, said political analyst Brian Sanderoff. The message to voters in rural northern New Mexico is that they should consider candidates other than Democrats, he said. Part of the formula for Susana Martinez winning the governorship was her ability to peel away voters in rural Northern New Mexico, Sanderoff said, largely based on her ability to connect with fellow female, Hispanic voters. Such “softening” of strong percentages that historically go for Democrats in that region are an important component of victory for Republican statewide candidates, such as Land Commissioner candidate Pat Lyons and Steve Pearce, who is running for Governor, he said.